LPC is Looking Toward the Next Fifty Years! 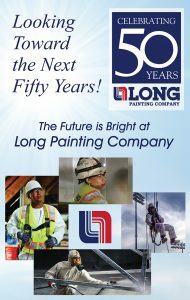 We will continue to provide customers with quality painting and related contracting services, while providing a safe workplace for our employees, safeguarding the environment and the public, and receiving a fair return on investment. « The LPC Vancouver Office Gives Back to Their Community!